Maduro lashed out at the congress leader, Juan Guaido, saying in an interview that he would face the courts "sooner or later" for violating the constitution, after Guaido invoked constitutional provisions last month to assume an interim presidency. Although many Western countries have recognised Guaido as legitimate head of state, Maduro retains control of state institutions and Guaido needs funds if he is to assemble an interim government. Venezuela's opposition-controlled congress named new temporary boards of directors to state-oil firm PDVSA on Wednesday, in an effort to wrest the OPEC nation's oil revenue from increasingly isolated President Nicolas Maduro. Controlling PDVSA's US refiner Citgo Petroleum, Venezuela's most valuable foreign asset, would go some way to helping in that, though seizing the reins of PDVSA itself seems improbable while Maduro remains in power. "We have taken a step forward with the reconstruction of PDVSA," Guaido said on Twitter, just after congress named the directors. "With this decision, we are not only protecting our assets, we also avoid continued destruction." PDVSA's crude output has slumped to 70-year lows, due to crushing debts, widespread corruption, and little maintenance of its infrastructure. The administration of US President Donald Trump, which backs Guaido, imposed sanctions on Venezuela's oil sector on Jan. 28, aimed at curbing exports to the United States and upping the pressure on Maduro. The proposed Citgo board would be composed of Venezuelans Luisa Palacios, Angel Olmeta, Luis Urdaneta and Edgar Rincon, all of whom are currently living in the United States, plus one American director. The nominations fuel a growing duel for control between Guaido and Maduro, who has promised he will not allow Citgo to be "stolen." The mechanics of how the new board would take over are unclear, and there are likely to be court challenges to the board's authority, people familiar with the deliberations say. Citgo and PDVSA did not immediately reply to requests to comment. Bulgarian security officials said on Wednesday that the country had blocked transfers out of several bank accounts which have received millions of euros from PDVSA. A member of Guaido's US diplomatic team told Reuters that they now had the "capacity" to use bank accounts belonging to Venezuela's Washington embassy, though they did not plan to do so for now. Guaido declared himself president three weeks ago, arguing that Maduro's re-election last year was a sham. 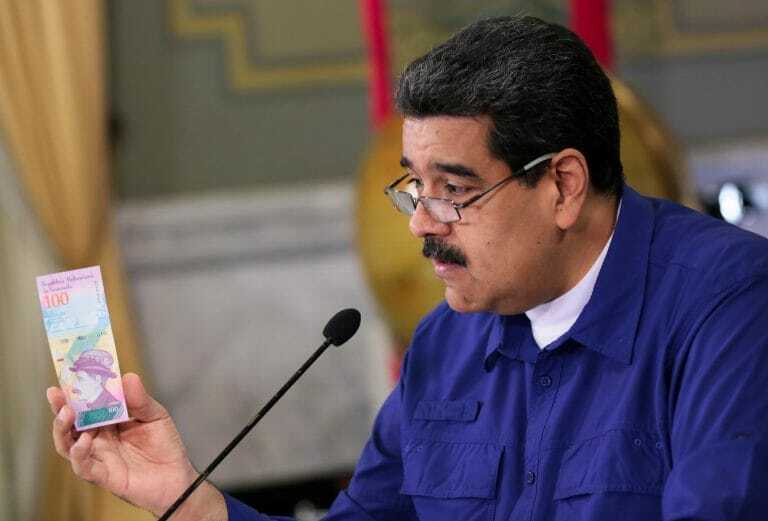 In an interview released on Wednesday by Lebanese television channel al-Mayadeen TV, Maduro said Guaido was seeking to divide the country and convince the Trump administration to launch a foreign intervention. "This person, who believes that politics is a game and he can violate the constitution and the law, sooner or later will have to answer before the courts," Maduro said, adding he was "absolutely sure" of this. "If the American empire dares to touch even one palm leaf in our territory, this will turn into a new Vietnam," he said. US Democratic lawmakers on Wednesday said Congress would oppose US military intervention in Venezuela and challenged the credibility of Trump's special envoy to deal with the crisis, Elliott Abrams, over his past embrace of American covert action in Latin America. The Trump administration has said it wants a peaceful resolution to the crisis but Trump has repeatedly refused to rule out military action. "I think there are a number of solutions, a number of different options, and we look at all options," Trump said when asked about the issue on Wednesday, in an appearance at the White House with Colombian President Ivan Duque. In the meantime, the United States has said it will try to channel aid to Venezuela, via neighbouring Colombia and possibly Brazil. Duque said Maduro's refusal to let in aid amounted to a crime against humanity and called on other countries to recognise it as such. Guaido told a huge rally of supporters on Tuesday that humanitarian aid would enter the country on Feb. 23, setting the stage for a showdown with Maduro. Maduro has called the aid a US-orchestrated show and denies there is an economic crisis, despite a widespread lack of food and medicine and hyperinflation.